I’ll start it out. Easy one for me. 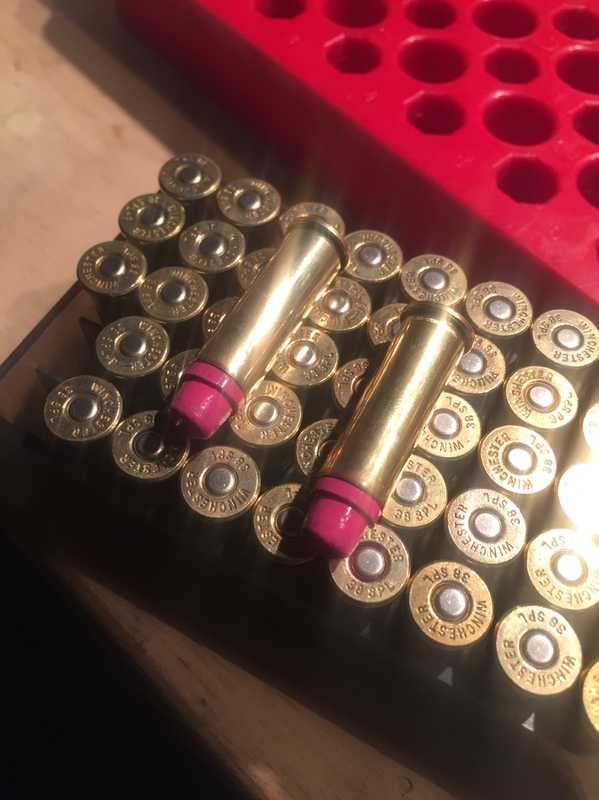 The 38 spl in pink I made for my daughter. The smile on her face when people at the range ask about them is priceless. This is my favorite at the moment, the 44 magnum. We all know how wishy washy we can all be at any given moment when it comes to the "Your favorite cast Boolit", so here is mine. It is from a hard to find Ideal mold, #429 303. I powder coated it in HF red, I think it did it justice too. It is my new HOG go to boolit, not so much for expansion, but for penetration. It truly is, in my book, perfect for PIGS. Last edited by MOA; 09-02-2018 at 01:54 PM. This is my favorite at the moment, we all know how wishy washy we can all be at any given moment when it comes to the "Your favorite cast Boolit", so here is mine. It is from a hard to find Ideal mold, #429 303. I powder coated it in HF red, I think it did it justice too. It is my new HOG go to boolit, not so much for expansion, but for penetration. It truly is, in my book, perfect for PIGS. Holy **** that looks scary! 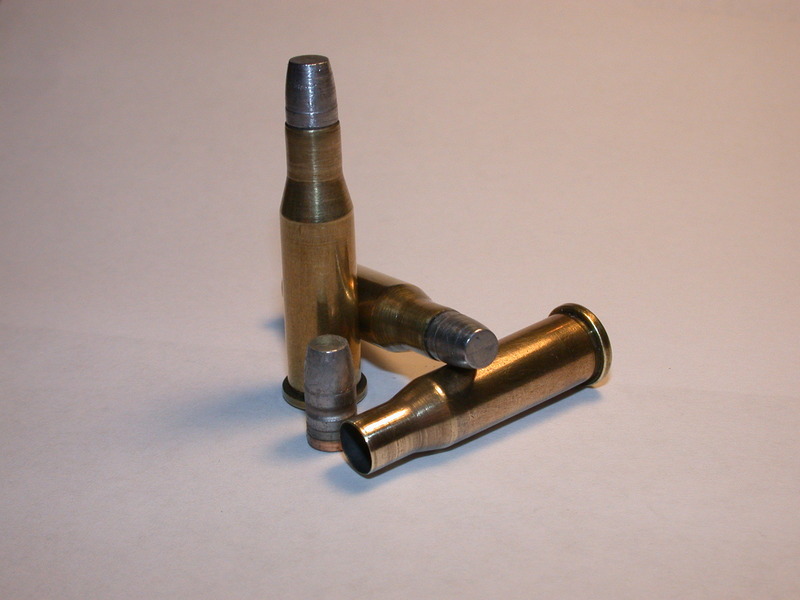 Favorite load... Saeco #411 (at least 30 years old), 16 grains of 2400 and the bullet drops at 228. This is my favorite 41 mag plinking load. Average velocity of 1128 with around 650 ft-lbs of energy! It is so satisfying that I keep a small ammo can full all the time. 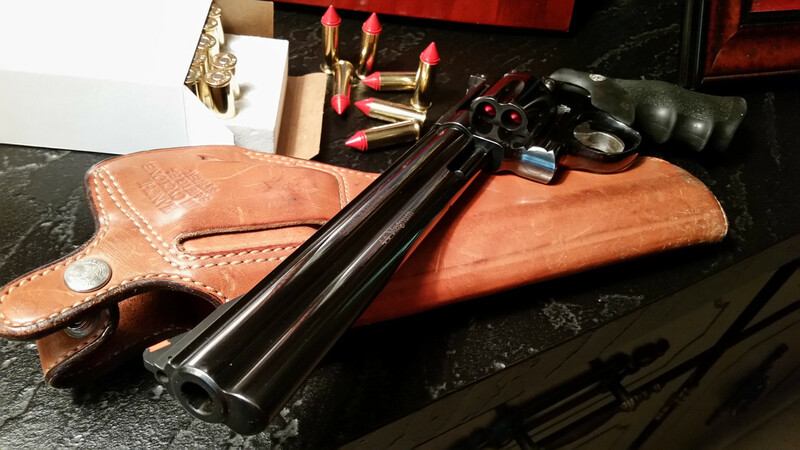 My favorite cartridge...44 Magnum. Favorite load...8.5 grains Unique and Keith 429421 cast boolit!! Last edited by Keith429421; 09-01-2018 at 04:38 PM. It don't take all kinds...we just got'em. sorry the picture is low res from an old flip phone. but i love this 357 load with 158gr flat points over unique shoots good in my carbine too. what I hand-load; .380acp; 9mm/9mmR; 38/357mag; 45acp; 223rem(5.56mm); 22-250rem; 243win; 270 win; 30-30win; 308win; 45-70gov. 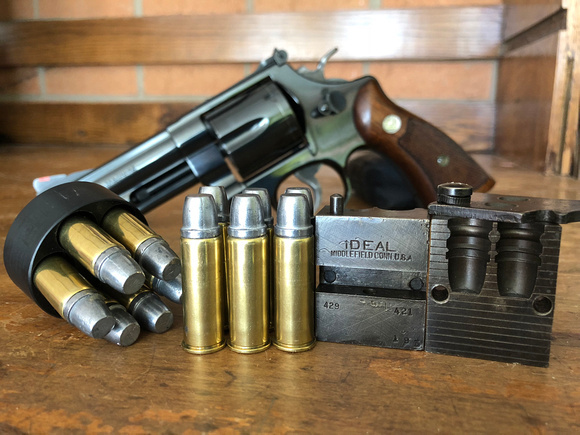 "You might be a gun nut if you load 45-70 on a progressive press" -HICKOK45<- was he talking about me!? !